Austin, Texas, became the latest major city to declare itself a “freedom city” in June, when the city council passed resolutions instructing the city’s police officers to arrest fewer people for minor crimes like possessing a small amount of marijuana and driving without a valid license, as well as taking steps to protect undocumented immigrants. Sanctuary city policies, like Austin used to have, were a defiant effort by progressive urban cities with large immigrant populations to reject cooperation with federal government-led efforts to round up undocumented immigrants. But after a crackdown on sanctuary policies by the Justice Department, and by conservative state legislatures, like the one in Texas, blue cities were forced to find another way forward. The newest solution has been “freedom city” policies, which unlike sanctuary initiatives, create new ways for city officials to comply legally with federal rules and state laws, while still protecting undocumented immigrants. For example, under a strict Texas law called SB 4, police officers can ask people they stop about their immigration status. One of the “freedom city” resolutions passed by Austin, however, instructs police to also inform people they stop that they may refuse to answer those questions. The city’s actions go around measures and laws put into effect by the state of Texas and the Trump administration that direct local police to comply with federal immigration detention and enforcement measures. 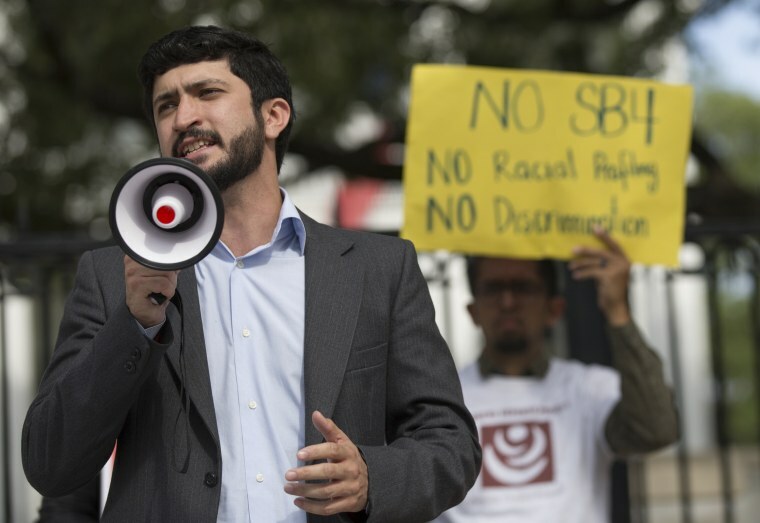 Austin’s declaration was the latest mark of progress for the broader “freedom cities” movement — a decentralized collection of dozens of local and national civil rights, immigrant rights and progressive groups that have banded together to fight anti-sanctuary policies. Smaller groups like Local Progress, Grassroots Leadership and the Black Alliance for Just Immigration have been instrumental in leading grass-roots efforts to expand publicity and awareness for the campaign. And larger groups, most prominently the ACLU, have been working with local lawmakers across the U.S. not only on immigrant protections but on counteracting racial disparities in arrests and incarceration, pushing for the passage of proposals similar to Austin’s. Other newly dubbed “freedom cities” include Madison, Wis.; Portland, Oregon; Ann Arbor, Michigan; Albany, California; Silver City, New Mexico; and dozens of others, Ronald Newman, the ACLU’s director of strategic initiatives, told NBC News. The goal of the movement, in most cases, Newman said, is to tailor to each city a broad set of ideas that allow it to remain as inclusive as possible during the Trump era. In Phoenix, for example, officials tightened guidelines last fall for when and how the city’s police officers can ask witnesses to or suspects in a crime about their immigration status. All the efforts have come in response to federal and state crackdowns on the rights of immigrants. Trump’s Justice Department has repeatedly introduced various iterations of new rules under which sanctuary cities ─ a term immigration hard-liners have used to describe municipalities that refuse to cooperate with federal attempts to round up undocumented immigrants ─ can lose future federal grant money used for crime-fighting if they don’t help federal agents deport immigrants being held in jail who are in the country illegally. And last year, Texas Gov. Greg Abbott, a Republican, signed SB 4, allowing for local officials to be fined up to $25,000 a day or removed from office for not complying with federal immigration detention and enforcement measures. 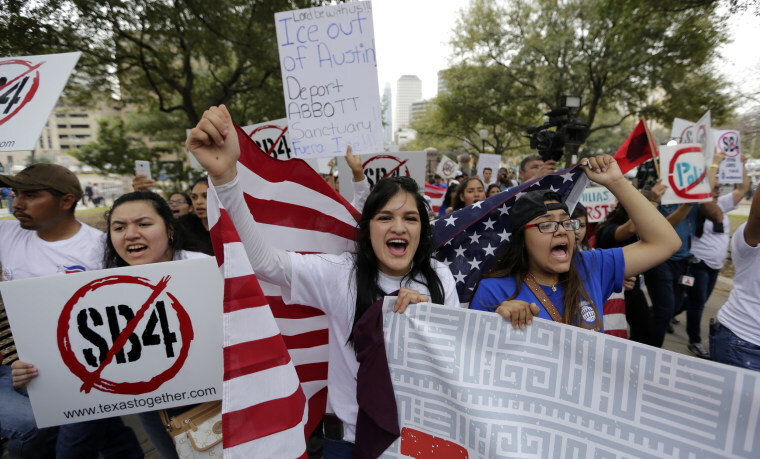 A federal appeals court ruled in March that the measure, designed to put an end to the sanctuary policies of blue Texas cities like Austin,could take effect while other legal challenges proceeded. A spokesperson for Abbott’s office did not respond to questions about “freedom cities.” A spokesperson for the Justice Department declined to comment. Other cities in Texas have taken notice of Austin’s “freedom city” resolutions: Lawmakers in Dallas and El Paso said they will introduce similar measures soon.